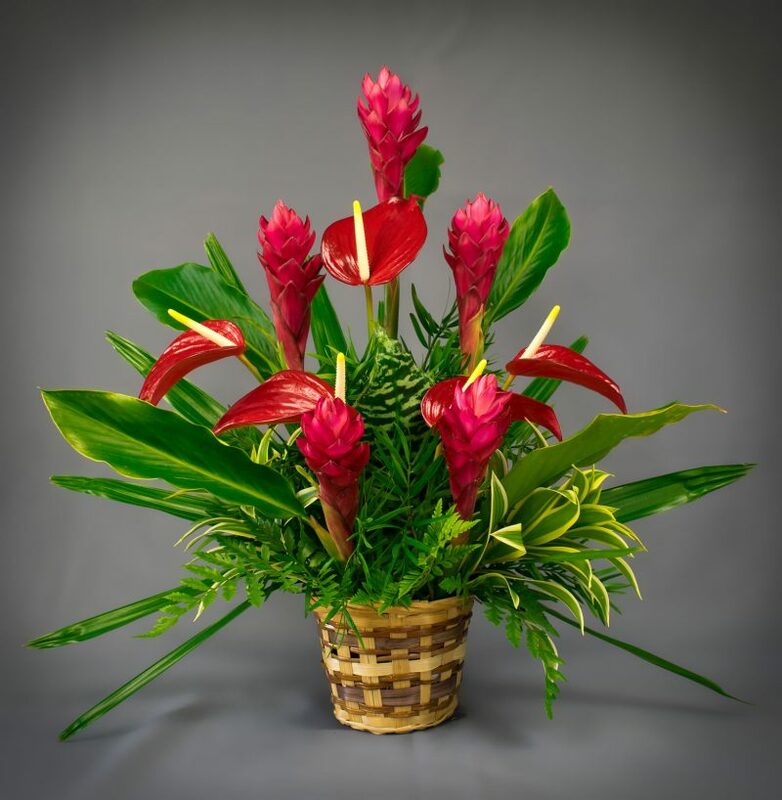 A delightful surprise done in red, arranged in an eco-friendly woven vase. 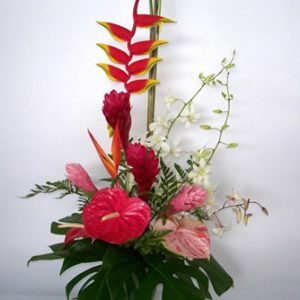 The flowers are arranged and ready for display upon arrival. 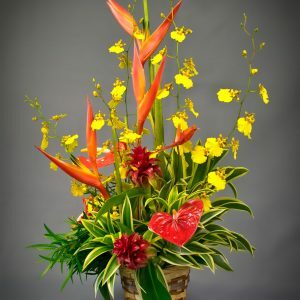 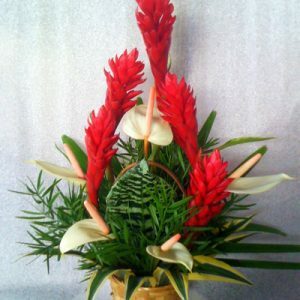 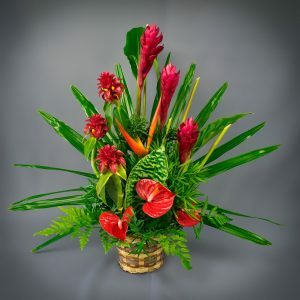 Flowers consist of 5 red gingers, 5 red anthuriums and assorted foliage.